Achieving peak performance — in our personal and professional lives — has never been more difficult. A constant stream of information and interruption plagues even the most talented who try doggedly to maintain their focus and deliver their personal best. A new paradigm for achieving breakout success is sorely needed. Renowned coach Alan Fine, considered one of the fathers of executive coaching, has the solution. 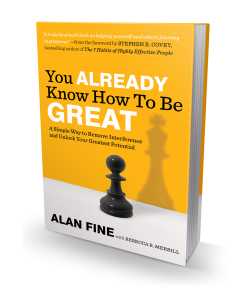 In his new book, You Already Know How to Be Great, Fine takes the principles he developed in working with some of the world’s greatest executives, athletes and musicians to deliver a proven method of delivering peak performances every day. Fine takes a deep dive into the world of human performance and offers up a systematic way of getting to the state of mind where top performances are created. Further, Fine has created a method of achieving that state of focus, to create it at will, paving the way for better decisions and higher performances. Citing real life examples from companies like IBM, Procter & Gamble, Sprint and The Gap, Fine creates a compelling case for a new way for leaders to achieve breakout success in their business and professional lives. 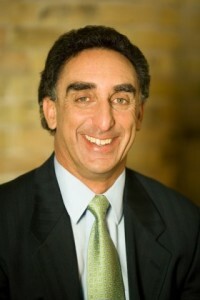 Alan Fine is founder and president of Inside-Out Development, an innovative and fast-growing professional services firm specializing in corporate training, executive coaching, and organizational consulting services. In addition to being a popular trainer and speaker, Fine has spent the last 25 years as a mental performance/focus coach to top professional tennis players and golfers, musicians, and corporate executives.